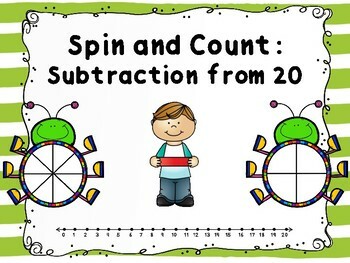 What better way to practice subtraction facts then with a spinner game?! 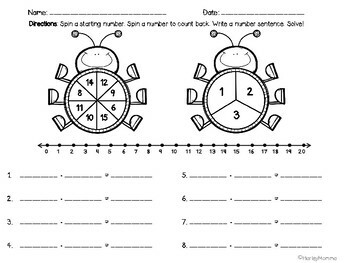 This product can be used as a center activity, or for small group instruction. 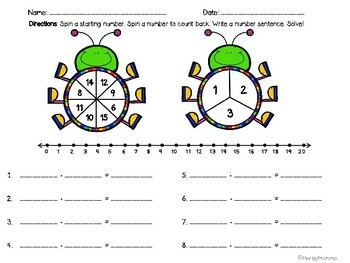 Students spin a number to start, and then spin another number to subtract. These numbers are used to create subtraction equations that are entered onto the recording sheet. 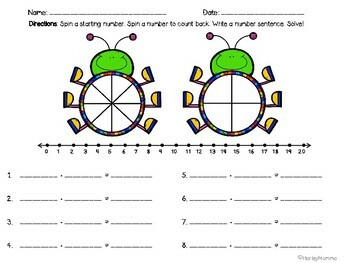 A number line is included on each page to assist students with counting back. Your feedback is always appreciated. Any questions, please email me at HarleyMommaTPT@gmail.com. Thank you!